Fundraiser for Kerry Stratton by Alexandra Moorshead : Encore, Maestro Kerry Stratton! For almost three decades Toronto has tuned in to listen to Kerry Stratton six days a week on The New Classical FM (found on the dial at 96.3). 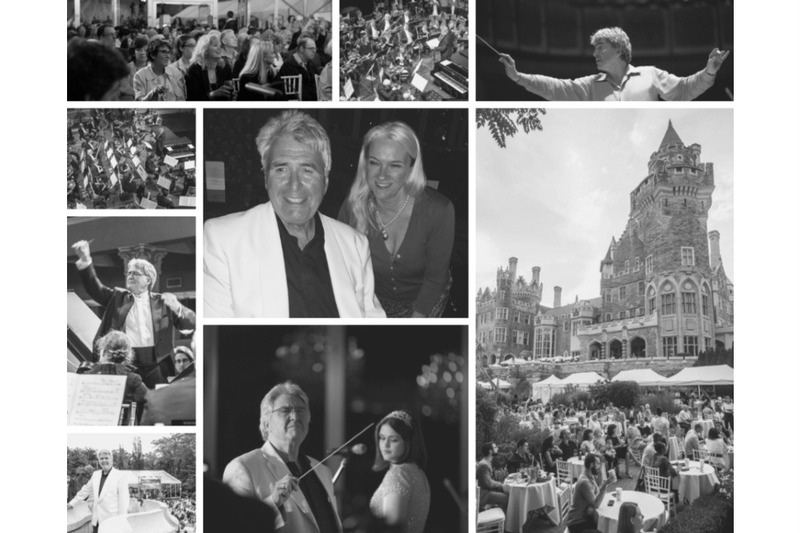 They have also flocked to Casa Loma’s summer music series, Symphony in the Gardens, to see Kerry conduct the Toronto Concert Orchestra for sold-out crowds week after week. In high demand, Kerry regularly tours and guest conducts for orchestras internationally, and is often invited to speak to wall-to-wall crowds of hundreds because he has been gifted with the delightful ability to make the stories behind the music you love as entertaining as the music itself. He's a man in the prime of his life. He's a devoted husband to Elizabeth and father to Nicholas (30), Connor (17), and Sarajane (14). He's also my dear friend. WHY DOES KERRY NEED A GOFUNDME CAMPAIGN? This was the 'quote du jour' Kerry Stratton chose to close his final broadcast as the voice of The Oasis on The New Classical FM. After months of testing, ruling out all other possibilities, Kerry has been diagnosed with amyotrophic lateral sclerosis (ALS), also known as motor neuron disease (MND) or Lou Gehrig’s disease. ALS gradually destroys the neurons in the brain that send signals to one’s voluntary muscles. Over time, as the muscles of the body break down in someone with ALS, they lose the ability to walk, talk, eat, swallow, and eventually breathe. Eighty percent of those diagnosed with ALS succumb to the disease within two to five years. Some view a fatal diagnosis as a fight for more time. As someone who has lived his life to the fullest, Kerry views his ALS as a fight for quality time. 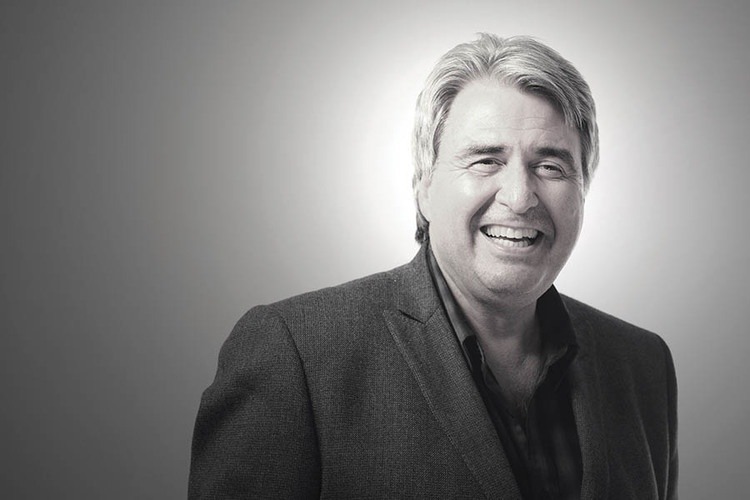 Kerry may not be able to keep up with the demands of a live radio show but he plans to continue with his Sunday show on The New Classical FM, because he loves sharing his passion for music. Kerry plans to deliver more concerts, because he can still put together a thoroughly entertaining performance. And, most importantly, Kerry plans to take care of his wife and three children (including two children still in high school) as long as he can, because his family needs him. Kerry is being treated with Rilutek (riluzone) and Radicava (edaravone). Together they have been shown to slow the progress of the disease, extending life by two or three months. On the advice of some within his medical team, he has sought other therapies. A dear friend generously underwrote the cost of stem cell therapy which Kerry underwent out-of-country the last week of November 2018. Stem cell therapy holds the promise of reversing some of the damage of ALS. The impact of the therapy Kerry has undergone remains to be seen. Kerry has started a daily regimen of oral and IV medications and physical therapy. His medical team, in partnership with the ALS Society of Canada, have arranged that each morning he is visited by a team of healthcare providers, including a nurse to administer medication via IV drip and a physical therapist to work with Kerry to maintain his muscle strength. Even with this external support, his family carries a heavy load. The ALS Society of Canada estimates that a diagnosis of ALS costs the average Canadian family from $150,000 - $250,000 over the course of the illness. Because ALS is a progressive condition, physical changes require the on-going need for assistive devices to maintain function. ALS affects each individual somewhat differently so it's not possible to outline an exact equipment list at this time. In some cases, changes occur slowly, alerting the family to an upcoming need. In other cases the need to accommodate a new physical reality comes up quickly, requiring an urgent need for funds. The ALS Society of Canada can alleviate some of the costs of assistive devices by providing loaned equipment (such as lift chairs, walkers, wheelchairs, hospital beds, lift systems, etc. ), however, many ALS patients require custom-made items (such as railings, a chair lift for a curved staircase, or a porch lift). These items can cost several thousand dollars each and are not covered by the Assistive Devices Program of Ontario (which is able to fund 75% of certain assistive devices). When you consider that a custom wheelchair can cost upwards of $40,000, you begin to understand the demands ALS will place on Kerry's family. One of the biggest expenses Kerry will likely incur is the cost of purchasing an accessible vehicle. This is often a very necessary item, as it makes travel to and from the clinic far more manageable, as well as family outings. There is no funding available to offset this cost, unfortunately. Aside from equipment, private caregiving costs can be enormous. Personal support care can be provided through the LHIN or the Direct Funding Program but they limit care to 49 hours per week. As ALS progresses, caregiving needs can easily exceed that limit. Whether a family member opts to leave school or work and stay home to manage the additional caregiving themselves, or private caregivers are hired, there is a significant financial impact. Add to those spiraling costs, hiring outside help to take care of housekeeping, home maintenance, and snow removal, and you realize the costs of an ALS diagnosis. Donations raised through this campaign will provide Kerry's family with the funds they need to address his needs as they arise, with the dignity to make decisions privately rather than making a new appeal for each product or service required to maintain his quality of life. Kerry has worked hard throughout his life to provide for his family. 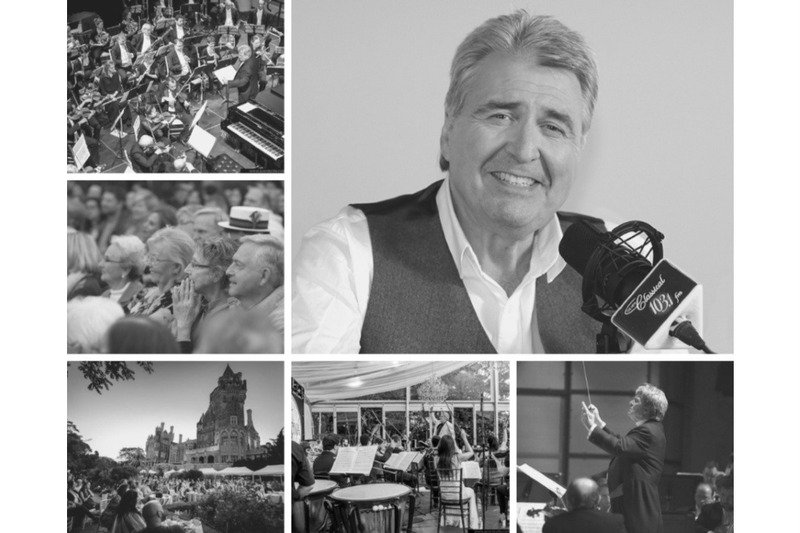 While host of The New Classical FM's afternoon drive show for almost three decades he established Toronto Concert Orchestra, orchestra-in-residence at Casa Loma, for which he is the music director and conductor. He also ran a touring company, did voiceover work, and gave back to the music industry through volunteer work. Like many people working in arts and entertainment, Kerry doesn't have recourse to income supplements, a severance package, or critical illness to cover the hundreds of thousands needed for the road ahead. I cannot adequately express how this unexpected health crisis has impacted his family and how concerned they are for their future. All funds raised (minus GoFundMe's modest processing fees) will go directly to Kerry's family. The success of a crowdfunding campaigns lies in its ability to reach people. Please, once you've donated, spread the word via social media that someone you care for needs help urgently. Please also consider supporting the ALS Society of Canada or Sunnybrook Hospital. They have been invaluable resources to the family at this time of need and are worthy of your support. I am sitting with Kerry today and he has asked me to post an update. He has been genuinely touched and moved by the support from so many friends and listeners. The funds raised are being applied to physiotherapy by a clinic that specializes in clients with neurological disorders. The hope is that they're able to stall the advance of the disease in his right hand. The family has installed a chair glide and various appliances to make Kerry's day easier. He has personal support workers coming in twice each day. Google Home's Siri is now on hand to answer the most important questions of life and other smart technologies are being added to make everything in the home accessible by voice command. Without donations from so many people, this would not have been possible. I thank you and The New Classical FM for their unending support. There are still major expenditures pending. ALS is a progressive disease. The largest major purchase ahead is an accessible vehicle for the family so Kerry may travel to clinics and treatments.